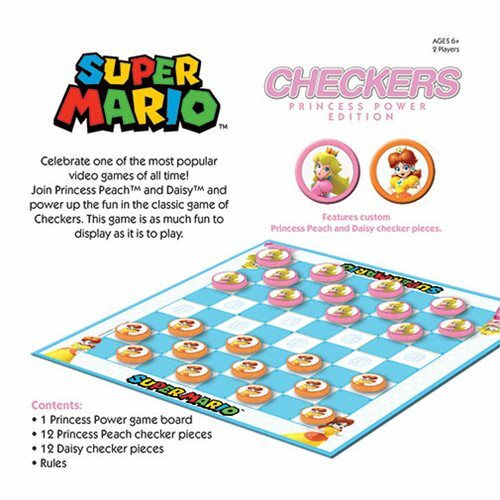 Super Mario Checkers: Princess Power Edition puts the spotlight on Mushroom Kingdom's royalty in this fun twist on the classic strategy game. Leave the capturing up to princesses Peach and Daisy as players jump, collect, and Queen custom game pieces across a cleverly coin-themed board. 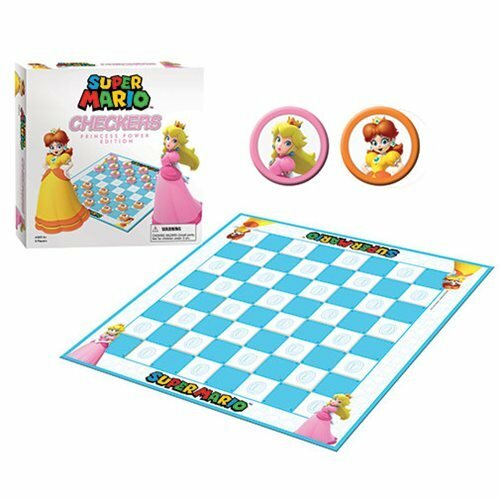 The Super Mario Checkers: Princess Power Edition Game is for 2 players. Ages 6 and up.